"Tomorrow and on Sunday, we will continue to be on the streets. Stay tuned in each of your municipalities, because we are going to organize ourselves to ensure the delivery of humanitarian assistance," he tweeted. The 35-year-old head of the opposition-controlled congress declared himself interim president at a protest in Caracas last month. President Nicolas Maduro slammed him as a US puppet. 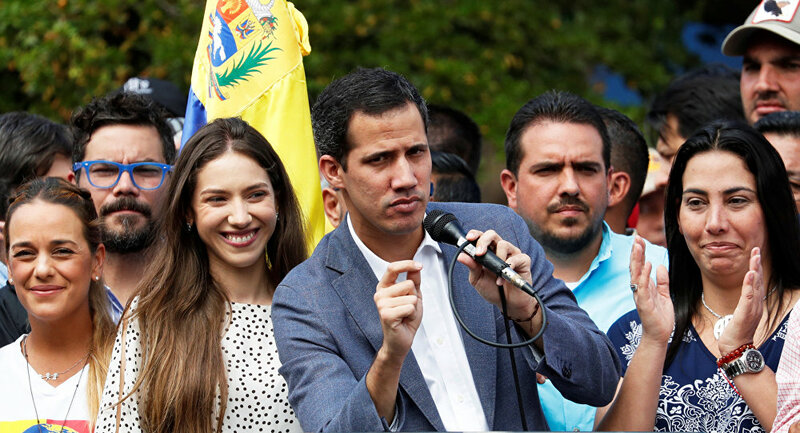 Washington said last week it would open a humanitarian corridor to the crisis-hit country at Guaido’s request but was snubbed by Maduro, who is backed by Russia, China, and several other countries. US supplies are being transported to the Colombian city of Cucuta on the Venezuelan border. Maduro said he would not let the country’s sovereignty be violated. The military has blocked the bridge with shipping containers and a tanker truck.